Habitat for Humanity of Sangamon County (HFHSC) is about to begin its second 1000 WOMAN STRONG build…and YOU CAN BE A PART OF IT! This is a unique opportunity to celebrate the strong, amazing women in our lives, have fun, and make our community a better place. “1000 Women Strong-Habitat Sangamon is 1,000 women networking, learning, and providing the funding and muscle to build—not just a house, but long-term stability for a hardworking, low-income family in Sangamon County” explained Colleen Stone, Executive Director of HFHSC. 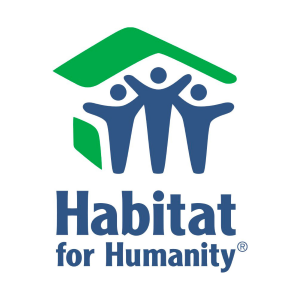 Each Habitat home requires about $100,000 in resources to construct. The Kick-Off will be Tuesday, April 2 at 5 pm at Fresh Visions Community Church, 1551 J. David Jones Parkway, Springfield. We need 5-8 people to help with the Kick-Off itself by bringing food, drinks, and paper plates, cups, and napkins. We will need a few more people willing to help provide the finger foods and cookies. We won’t need fancy foods—just treats to make this event festive. (Veggie and/or fruit trays, cookies, chips, etc.) We expect between 25 and 50 people for the Kick-Off. PLEASE let me know ASAP if you can send food or help. We will also furnish 2-4 lunches for 10 or 20 people during the build itself. (Habitat will let us know a few days before.) Possible dates are Friday/Saturdays May 10/11, May 17/18, May 24/25 or June 6/7/8 or 14/15. Our almost- homeowner is Sonia, a single mother with three teenage daughters, Kaliyah, Katryce, and Kanise. Sonia is working as a para-professional, going to school, and planning for the next phase of her life as a Habitat homeowner. She has taken Habitat education classes to qualify for her own house. She has put in sweat equity on previous homes over the last several months, and now it is her turn. Please help us help Sonia. We need builders, lunch makers, site hosts, and other volunteers. I am serving on the Steering Committee and am excited to be coordinating Westminster’s part in this build. Please let me know if you want to build hands-on, provide nourishment for those who build, or provide resources. At the very least we ask you all to participate through PRAYER for this endeavor!